The Page 69 Test: "Confessions of a So-Called Middle Child"
At fifteen Maria T. Lennon left Santa Barbara to study at The American School in Switzerland. She continued her studies at Brillantmont in Lausanne, got kicked out, then went on to London to complete her A levels. She was accepted to the London School of Economics and studied International Economics and Politics of International Aid. After graduating, she moved to Italy where she ate and drank enormous quantities. She also taught summer school at The American School in Genova, an elementary school. Lennon later moved to Paris and wrote her first novel. When she returned to Los Angeles, she quit all bad habits and continued working on her novel, Making It up as I Go Along, which was published in 2004. Lennon’s screenplay about the Red Brigade was a third place finalist in Francis Ford Coppola's screenwriter's competition. Today, she lives in Laurel Canyon and has four children and a dog named Frida. Yes! Page 69 [inset right, click to enlarge] is where it’s at. Take a quick browse and see what you’ll discover about my not-so nice heroine in the making. The book is short—major bonus for kids. 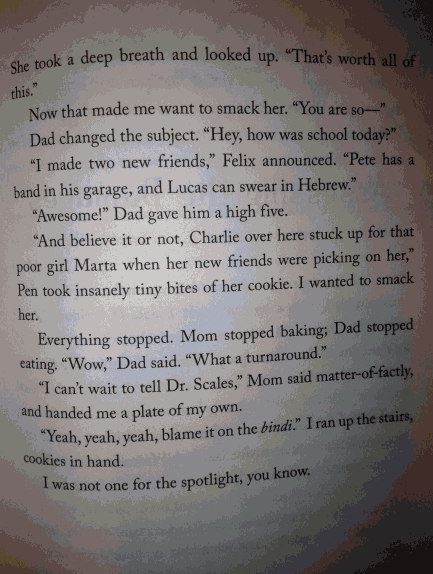 You can tell Charlie is the middle-kid right away and both her younger and her older siblings are super annoying. She sees a shrink- this is LA you know. 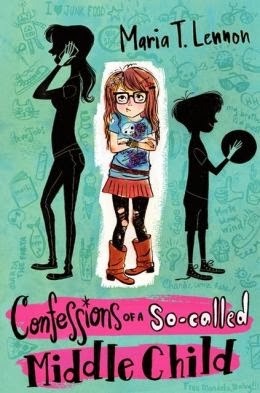 She goes to a new school where being different may or may not be cool. 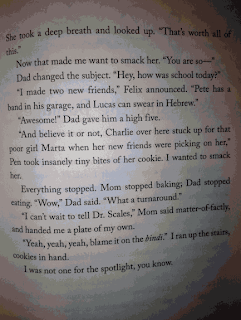 This is an issue book—Charlie definitely wants to stop bullying—that’s funny as you know what. Teachers, parents and grandparents should buy this book for their kids. It’s a teachable book for 4th, 5th and 6th grade. Girls can be super mean you know. Believe it or not Charlie is a role model for all girls. It’s realistic fiction set in the Hollywood Hills. Your kids will love it. Trust me. I have four of my own. Learn more about the book and author at the Confessions of a So-called Middle Child website, and follow Maria T. Lennon on Facebook and Twitter. Read--Coffee with a Canine: Maria T. Lennon and Frida. My Book, The Movie: Confessions of a So-Called Middle Child.